Kits printed by Revell with a numbering scheme 40401 to 40411. Similar to the Matchbox International Red aircraft range of type 5. Note that these issues are still done under the flag of Matchbox International. However they are printed by Revell in Germany. 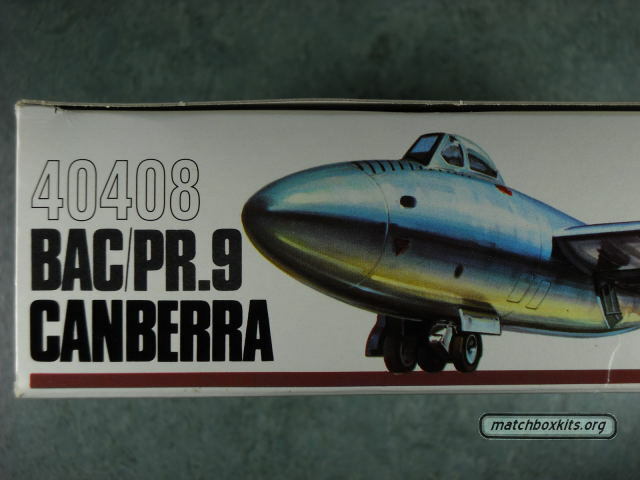 Example shows BAC Canberra 40408.